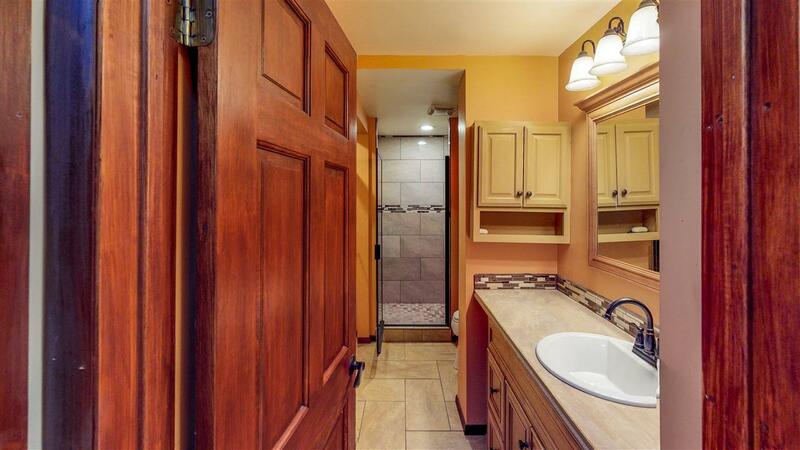 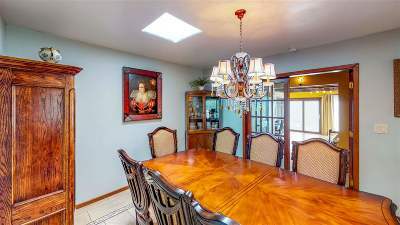 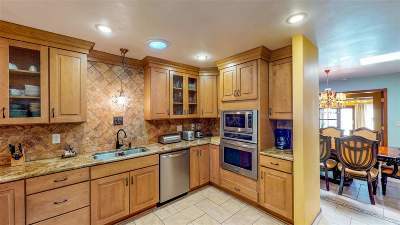 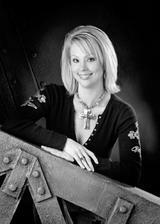 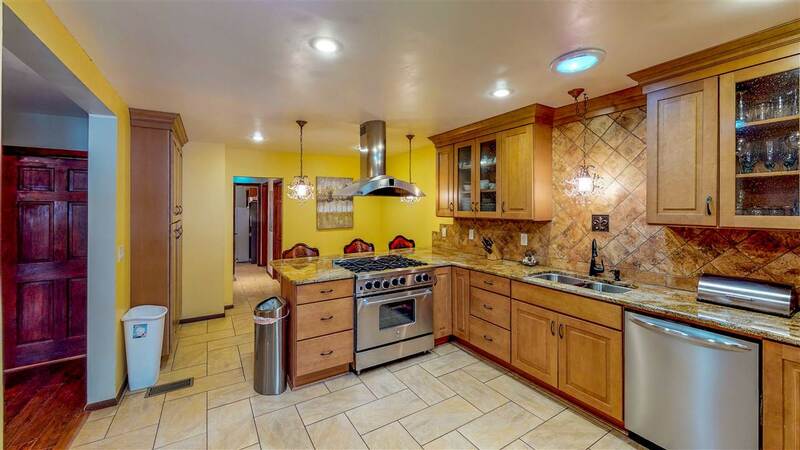 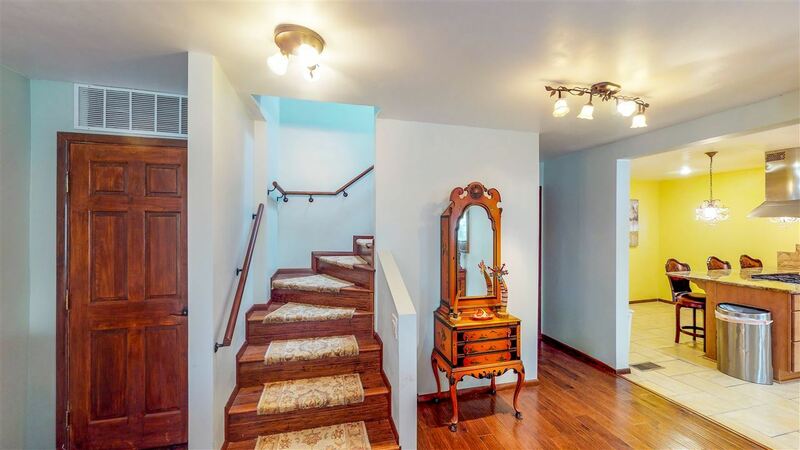 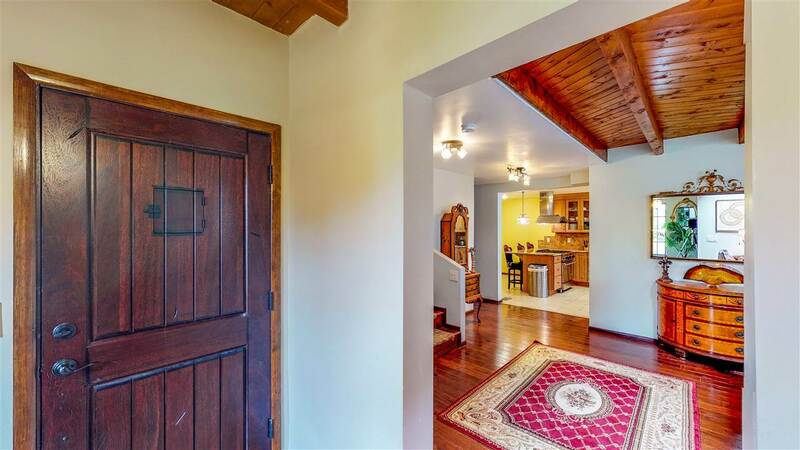 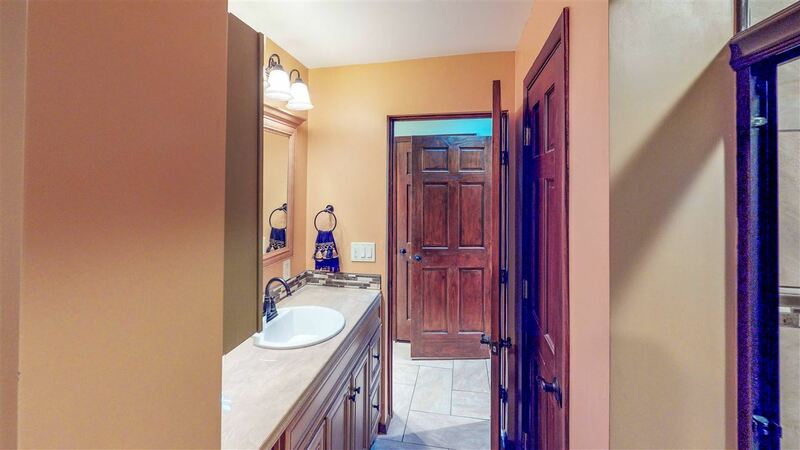 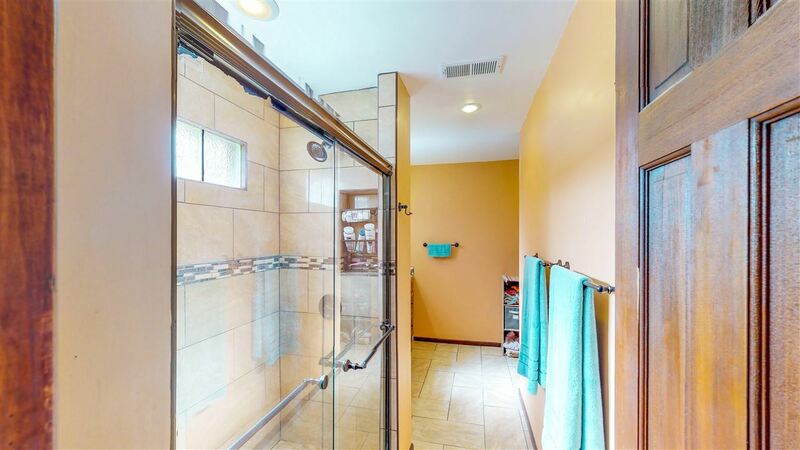 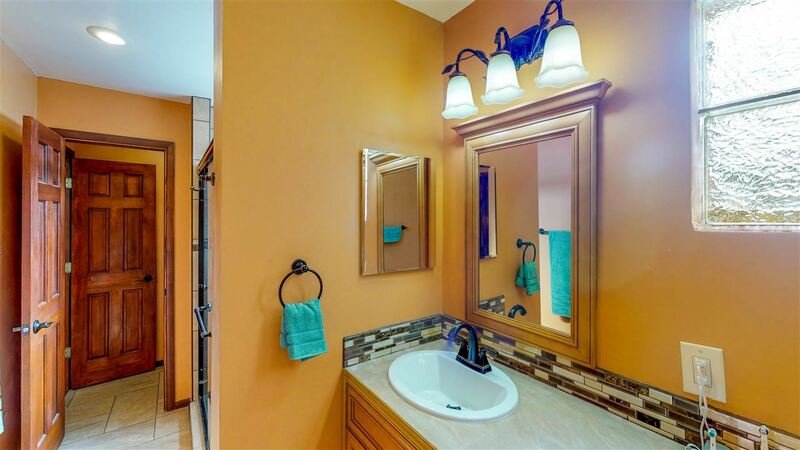 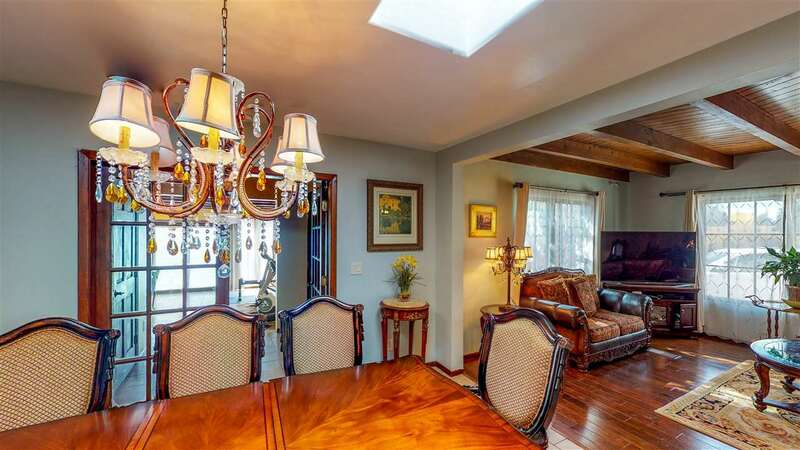 Minutes from the historic plaza this 3600 square foot home has high end finishes throughout. 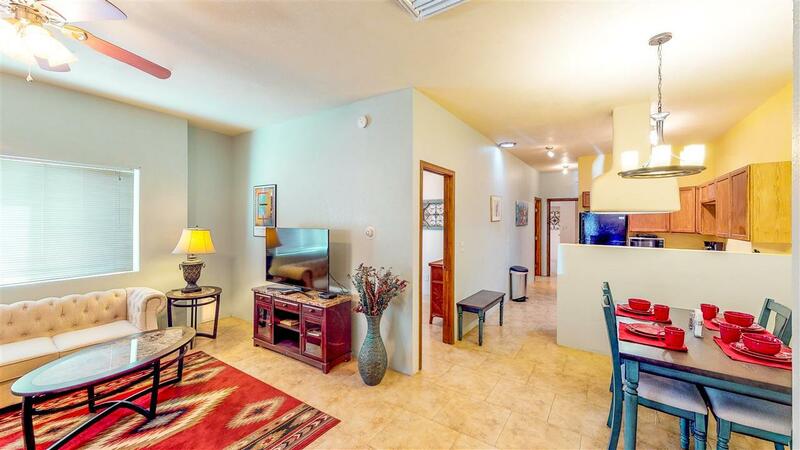 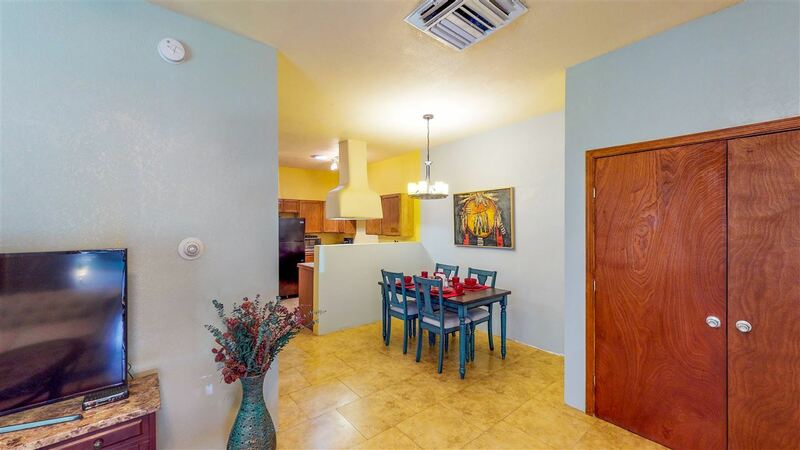 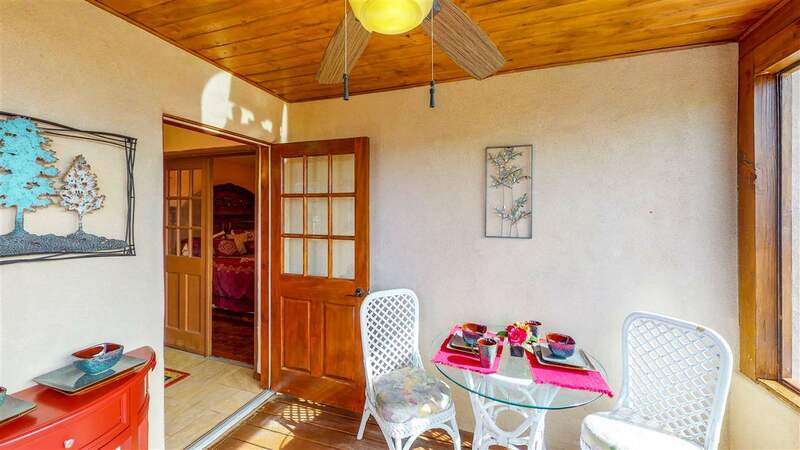 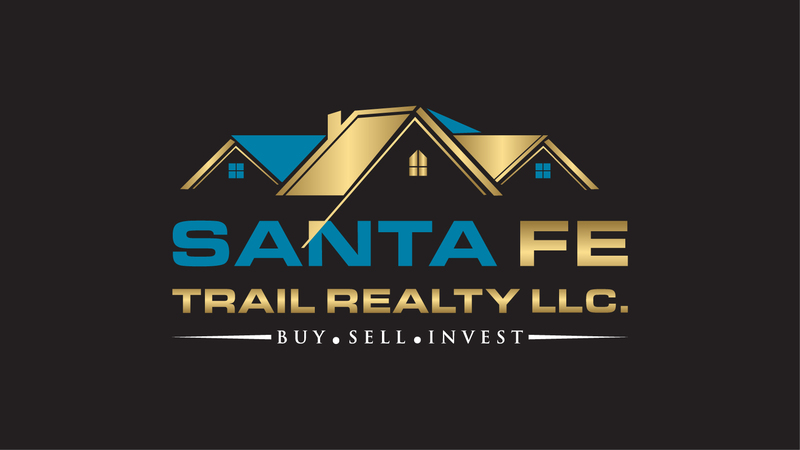 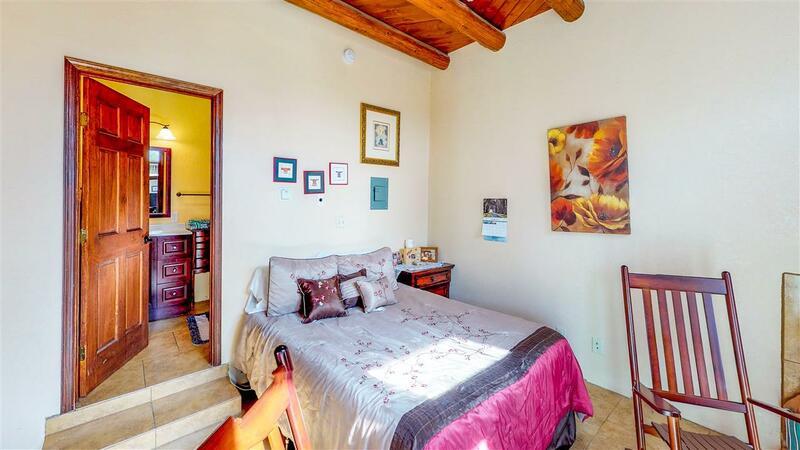 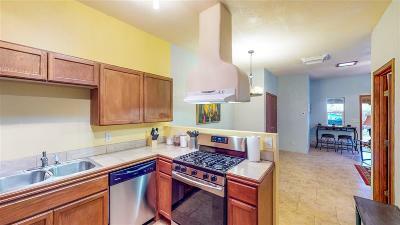 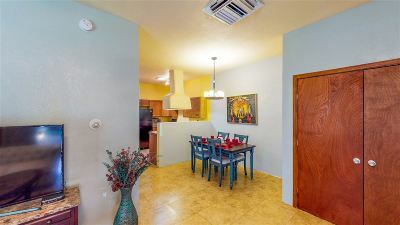 The attached guest casita is a successful short term rental income producer. 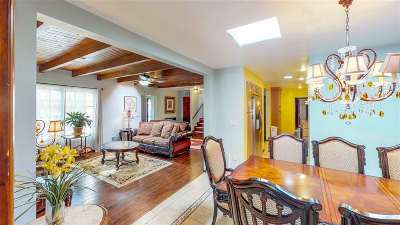 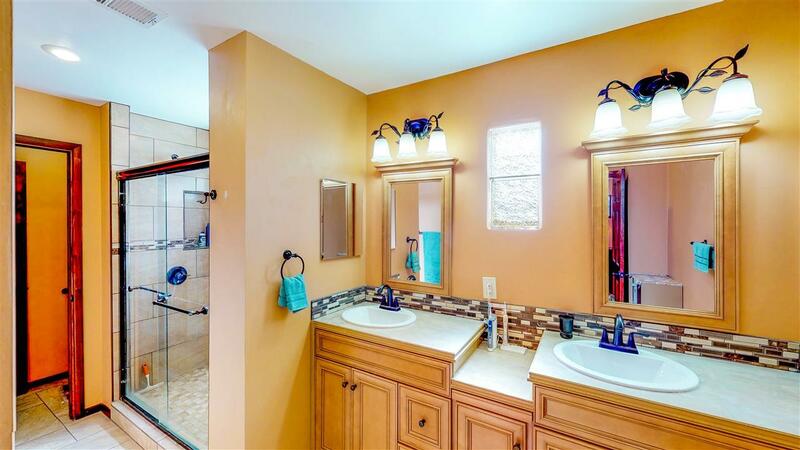 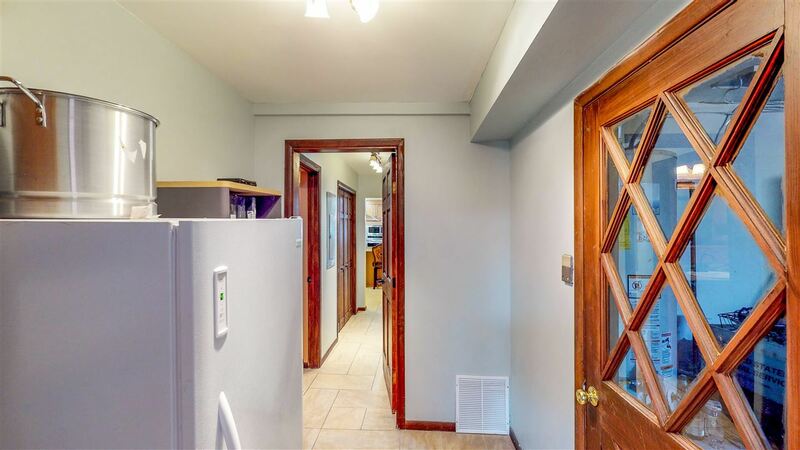 Completely renovated over the past two years this 5 bedroom, 3.5 bath home is perfect for entertaining. 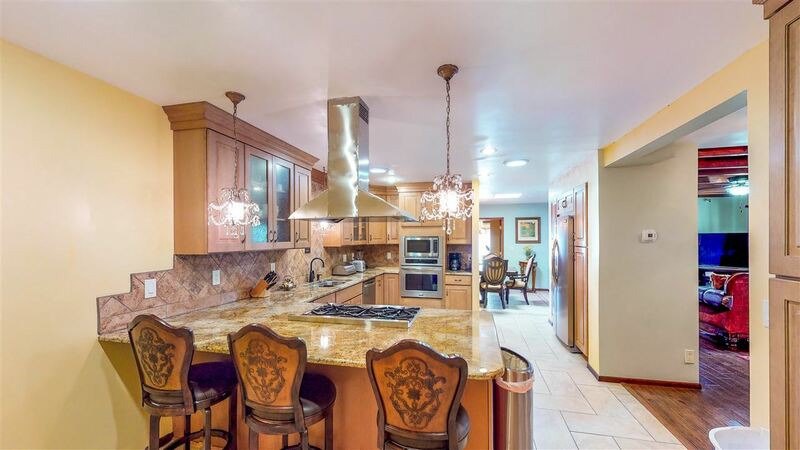 A gourmet chef's kitchen and formal dining area are adjacent to a salon suitable for billiards/bar with its own powder room. 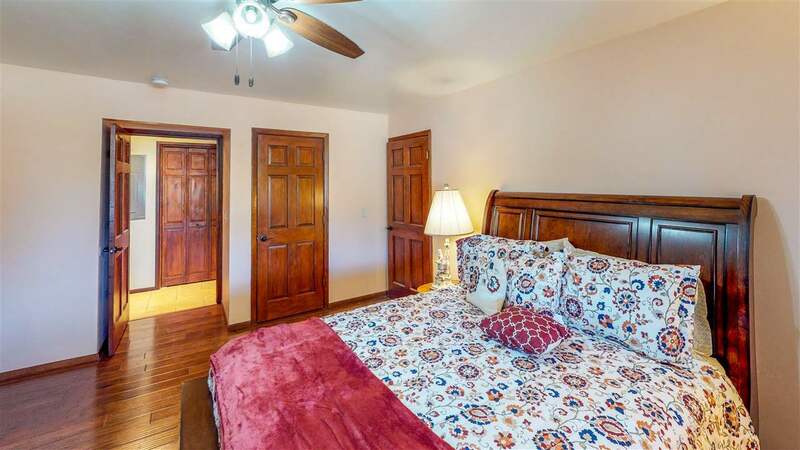 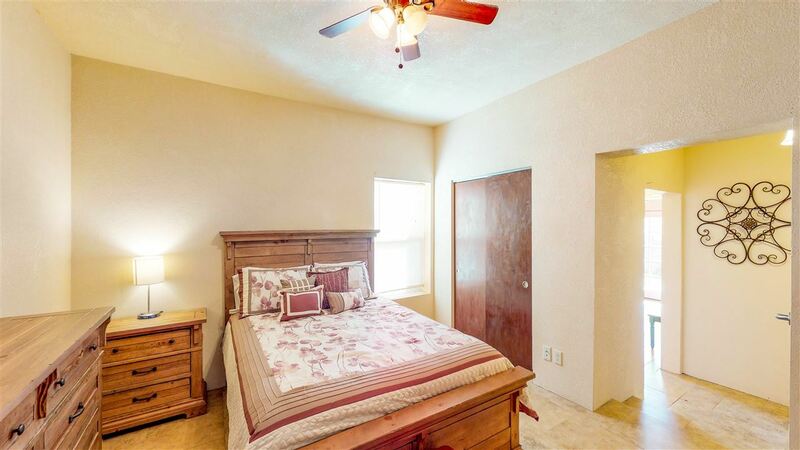 The main level has three bedrooms and 2.5 baths for guests/family. 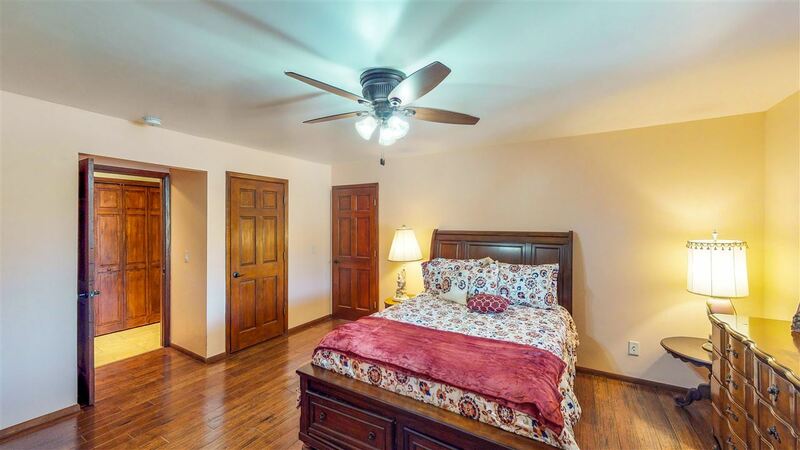 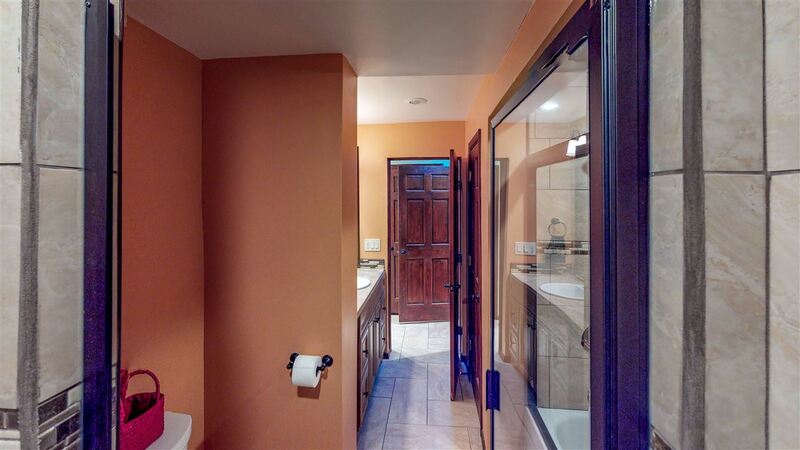 The secluded owner's suite upstairs boasts a fantastic closet, dressing room, private balcony and office. 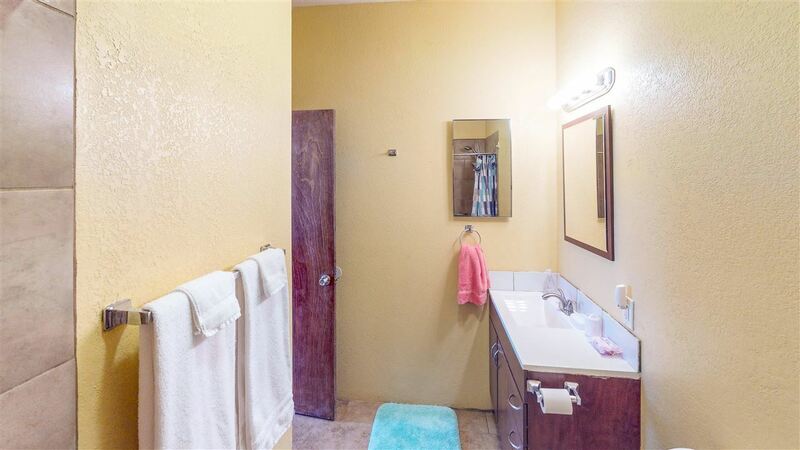 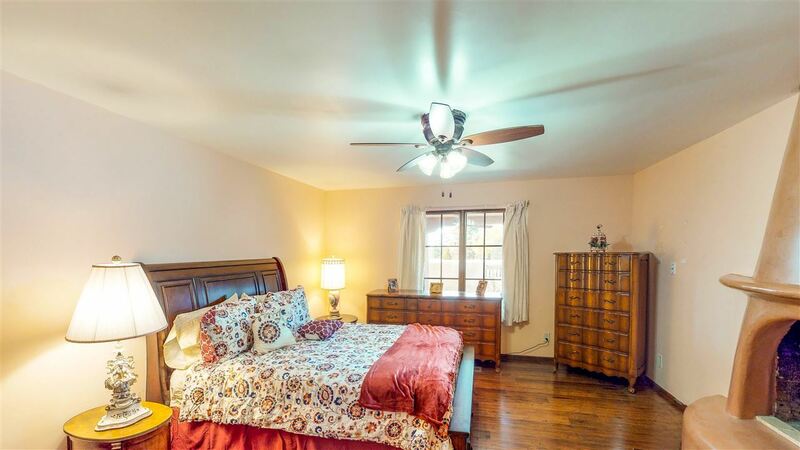 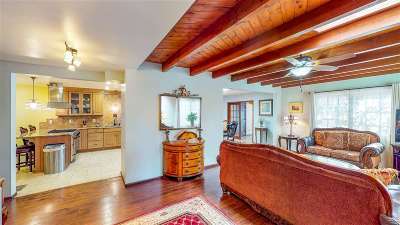 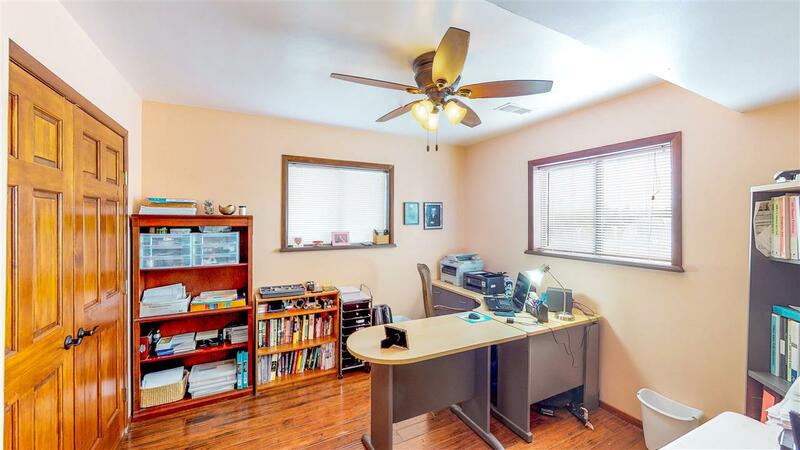 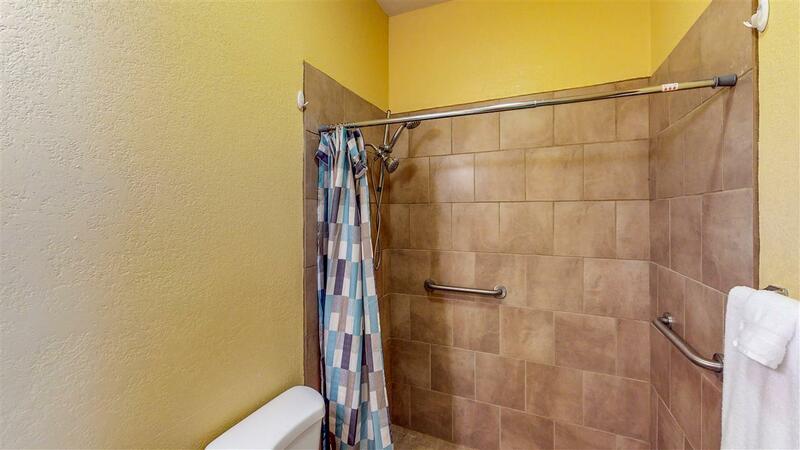 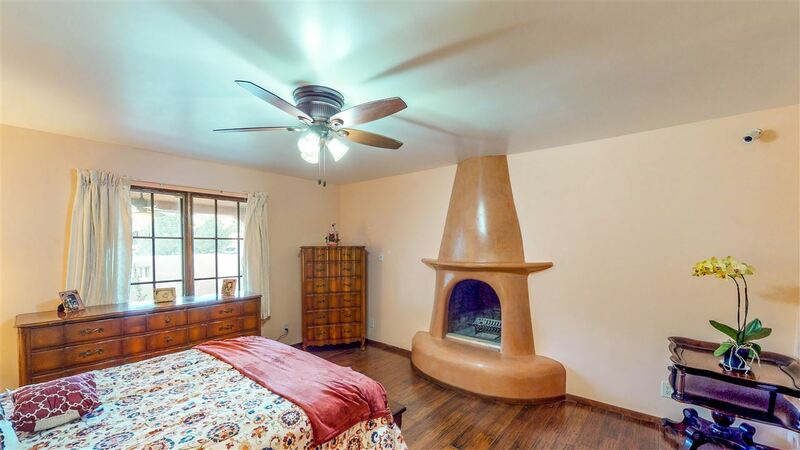 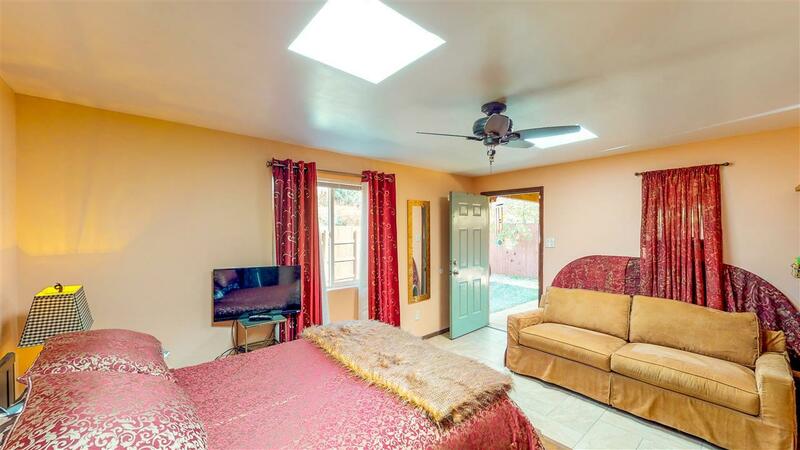 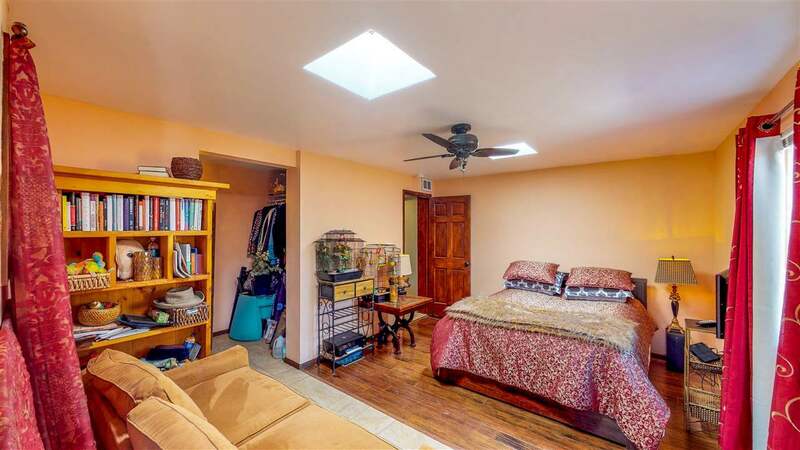 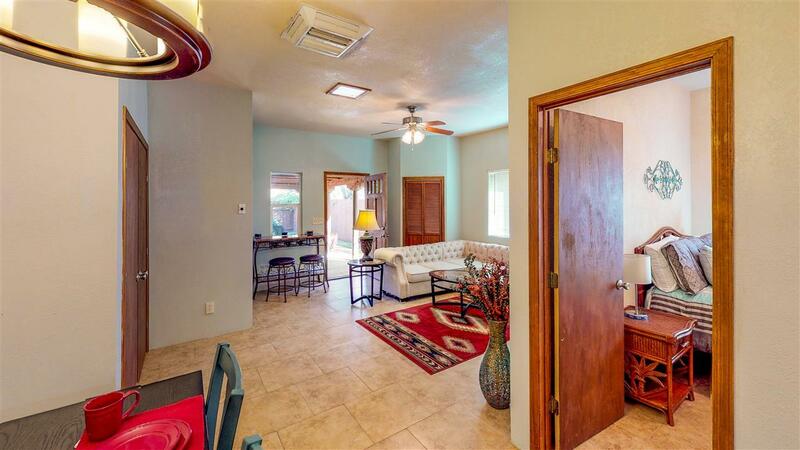 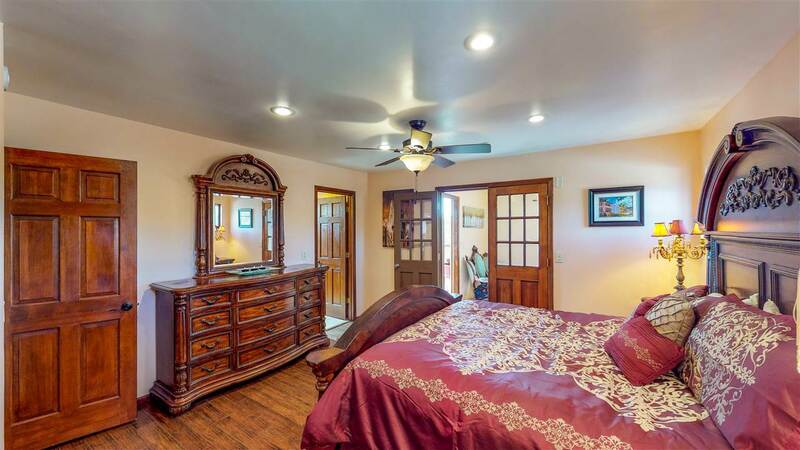 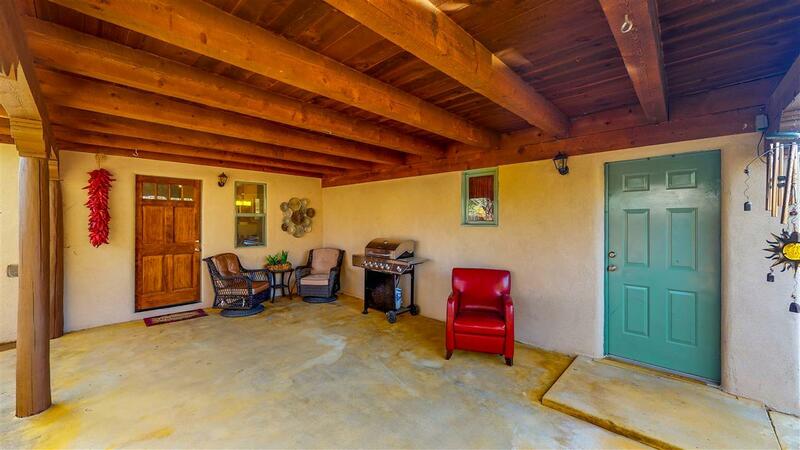 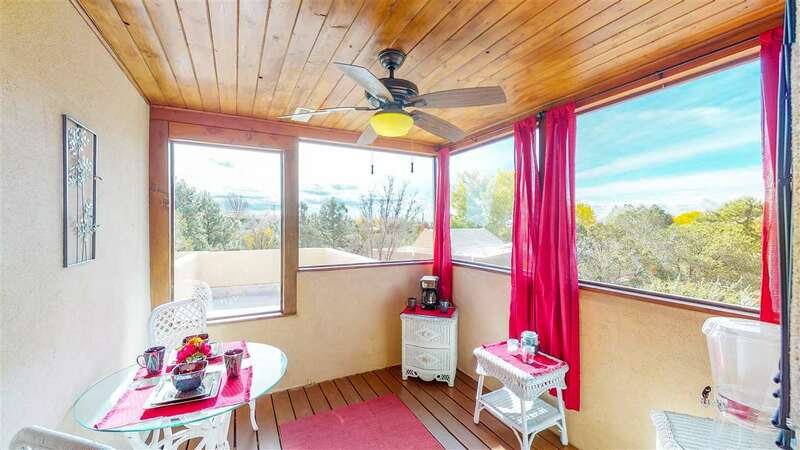 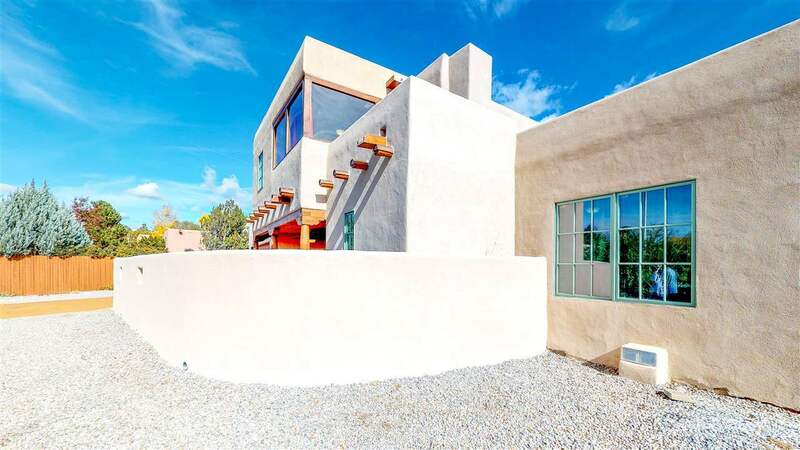 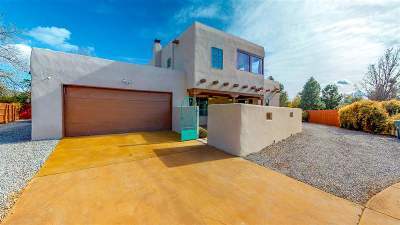 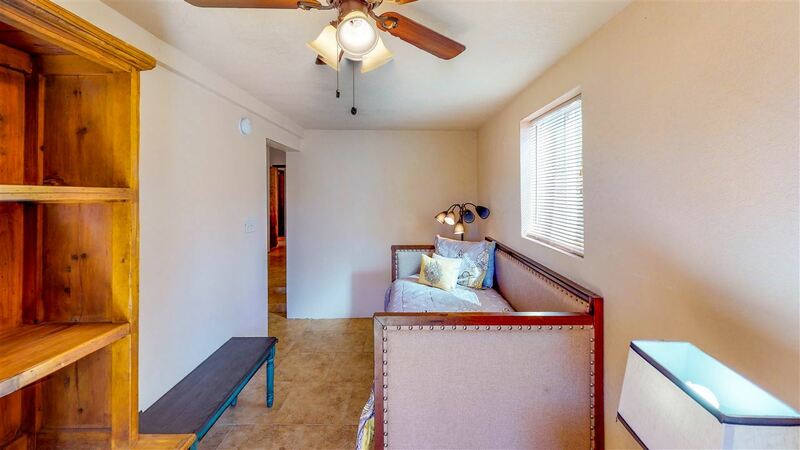 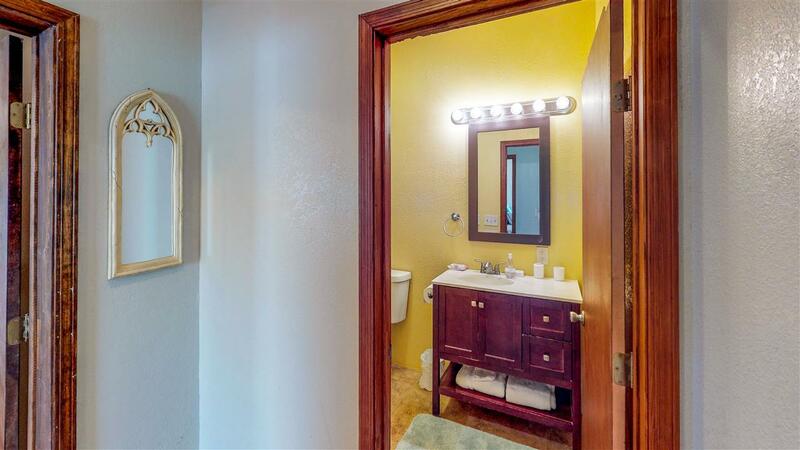 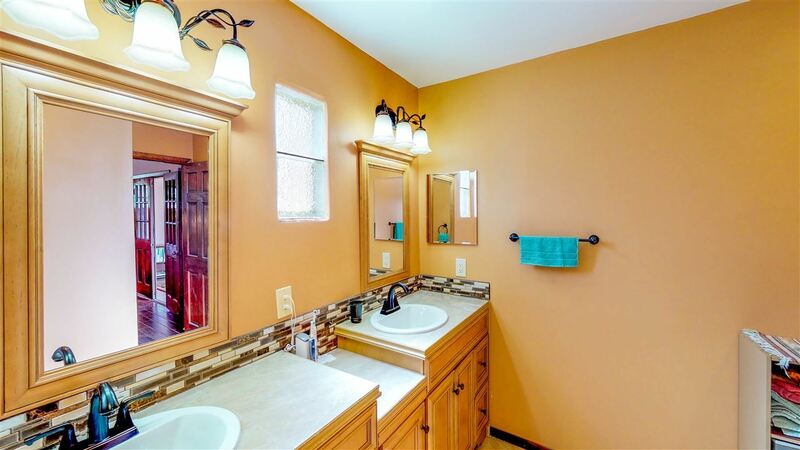 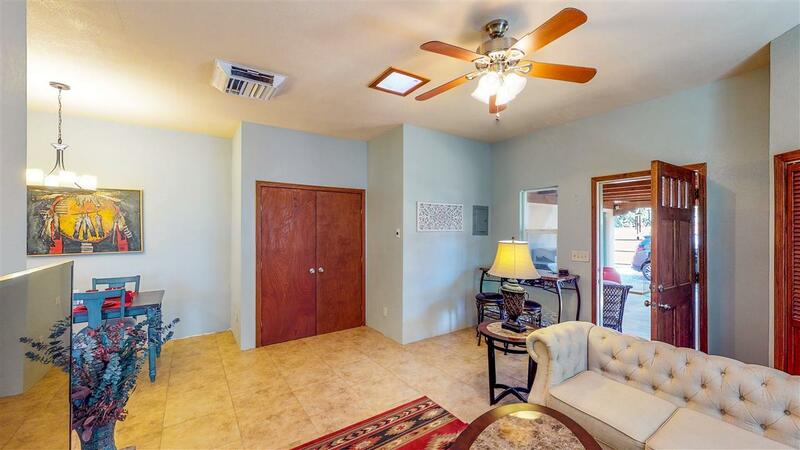 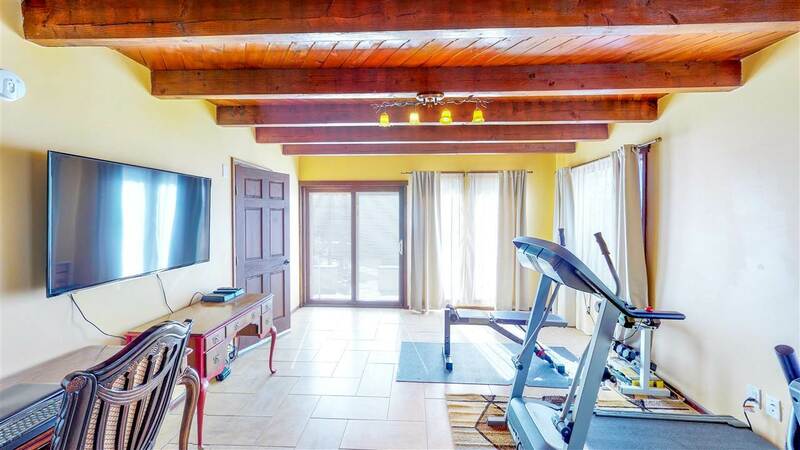 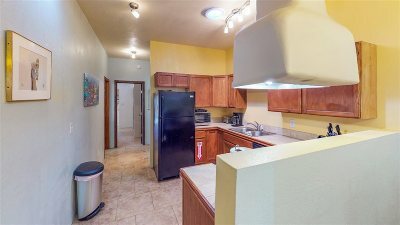 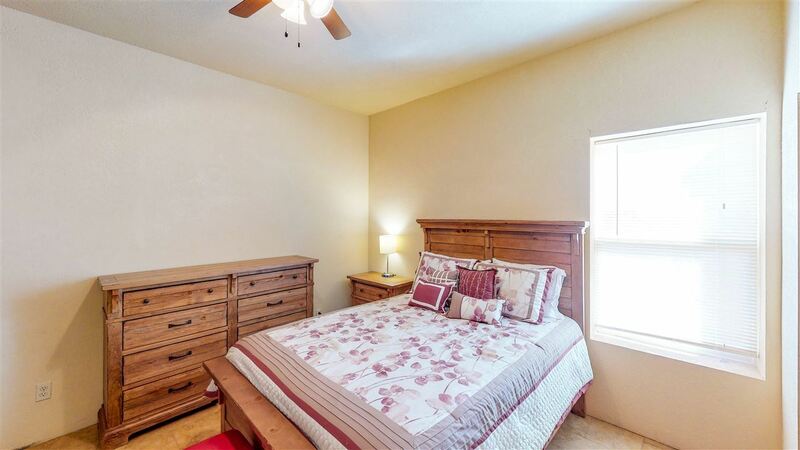 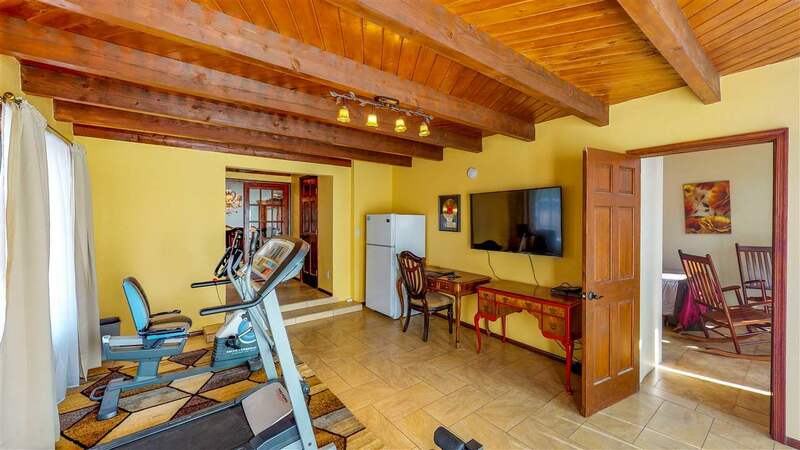 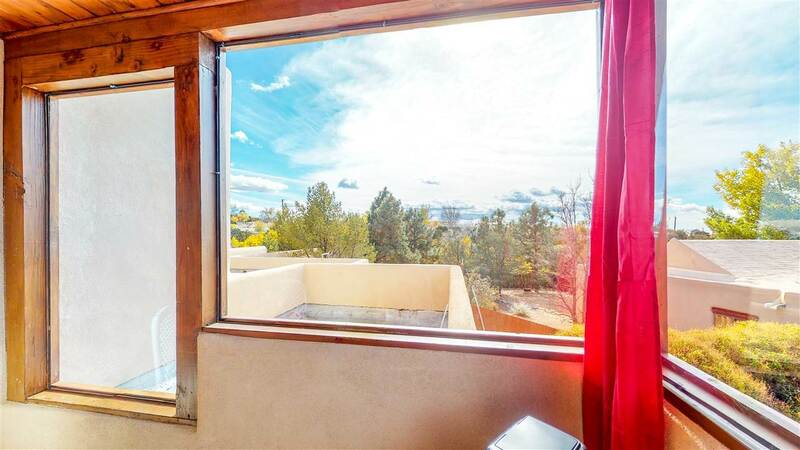 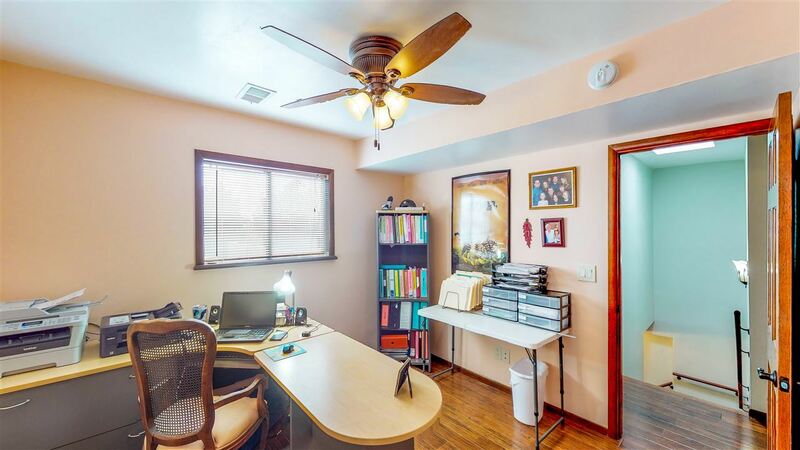 Purposefully located beyond the two-car garage is a guest casita with 3 beds, 2 baths and a den. 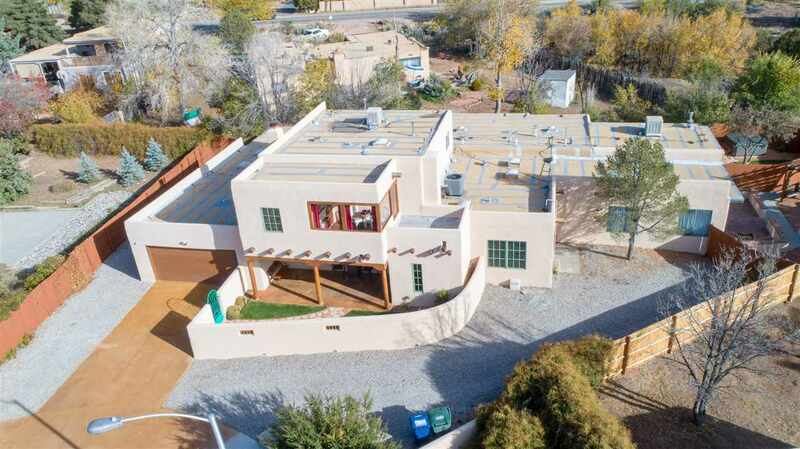 The property line adjoins greenspace creating a rare large lot feel so close to the plaza. 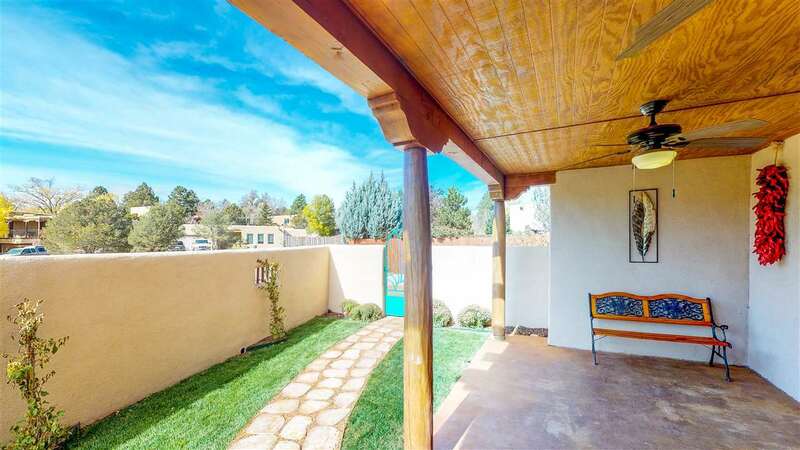 Extensive landscaping with drip irrigation helps create wonderful outdoor living spaces.